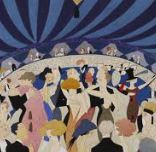 The Roarin' 20s are coming back at the South High Winter Ball hosted by the Student Council, Friday, Jan. 27, 7-10 p.m. However, note the venue has changed to the Union Depot in St. Paul. Arrive before 8:30 p.m. Get tickets at lunches.